Famous actor Sylvester Stallone has given his take on Conor McGregor’s string of issues outside the Octagon. 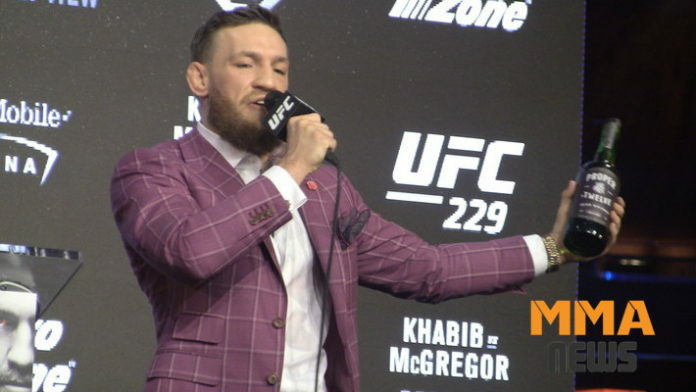 McGregor was in trouble with the law in 2018 due to his UFC 223 media day incident. The “Notorious” one shattered a bus window holding red corner fighters. The incident caused injuries to two fighters, who had to be pulled from the card. McGregor was arrested and later released on $50,000 bond. He just recently satisfied the terms of his plea deal, which saw him avoid further jail time. McGregor is dealing with lawsuits from UFC lightweight Michael Chiesa over the bus incident and the fan who had his iPhone smashed. MMA News will keep you posted on those cases as more information becomes available.